GOLDEN RIDGE RESOURCES LTD. (TSX-V: GLDN) is pleased to report additional assays from the second and third holes drilled at the William’s Zone, located on the Company’s Hank Project in BC’s Golden Triangle District. HNK-18-005 intersected similar geology and mineralization to previously announced drill hole HNK-18-001, with 326 metres of potassic altered monzonite and Stuhini volcanic rocks grading 0.29% Cu, 0.36 g/t Au and 1.92 g/t Ag (Figure 2). HNK-18-002 intersected similar geology over 276.15 metres, grading 0.31% Cu, 0.24 g/t Au and 2.33 g/t Ag (Figure 3). The strongest grades in both holes occur to the east, adjacent to a north-northeast striking fault which appears to have dissected a portion of the higher grade mineralization. At surface east of the fault is shallow level intense phyllic alteration, which typically caps porphyry copper-gold systems similar to that at Williams. The current geological interpretation suggests that the rocks east of the fault have been offset downwards relative to the west side and that potential exists for additional high grade mineralization below the phyllic alteration east of the fault (See Figures 2 and 3). Additional IP lines are currently being surveyed and preliminary chargeability data support the interpretation of deeper mineralization in the eastern block. Once the IP work is completed, the final geophysical results will be published in a Company news release. Drilling to the northeast in HNK-18-013 has intersected visually strong mineralization within Stuhini Group volcanic rocks on the east (hanging wall) side of the monzonite. The north-northeast-striking fault is further separated from the north-striking monzonite to the north in HNK-18-013, which may allow for a greater width of strongly mineralized hanging wall to the north. The Williams porphyry mineralization remains open to the north and northeast along strike from HNK-18-013. Assays from these additional holes are pending and will be released immediately following receipt, review and QA/QC checks. Additional drilling at the Williams Zone demonstrates continuity in thickness and grade. Higher grade mineralization appears to be dissected by a fault on the eastern side, with the potential for additional, better grade mineralization at depth to the east. Mineralization remains open to the north, northeast and at depth, with visually better mineralization intercepted to the northeast. Preliminary raw data from the IP survey now underway by Peter E. Walcott and Associates Ltd. is currently being reviewed on an ongoing basis by Company geologists. The data shows high chargeability values at the Williams Zone which merge with high to very high chargeability values in the LAZ, suggesting connectivity of the two zones. Further IP lines to the southeast are currently underway to better define the high chargeability extension to the southeast across Hank Creek. 1 The intervals reported in these tables represent drill intercepts and insufficient data is available at this time to state the true thickness of the mineralized intervals and all gold values are uncut. 2018 drilling at the Company’s Hank Property has now been completed. The Company drilled 6,731 meters in total in 2018, exceeding its originally planned budget of 6,000 meters. The Company intends to continue acquiring more IP geophysical data and that information, along with all the remaining pending assays, will be reviewed before proceeding with additional drilling. The Company has posted complete assay tables for Cu, Au and Ag for the first three holes drilled at the Williams Zone (HNK-18-001, HNK-18-002 and HNK-18-005) to it’s website in .csv format for public download. Hole HNK-18-003 was abandoned in overburden and re-entered at a different dip. HNK-18-004 was drilled in the Kaip Zone, assays for which are pending. Wade Barnes, P.Geo., the Company’s Project Geologist, is the Qualified Person as defined by National Instrument 43-101 who supervised the work program and preparation of the technical data in this news release. 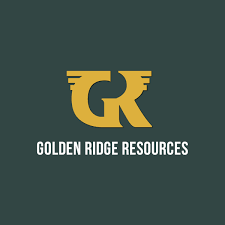 Golden Ridge is a TSX-V listed exploration company engaged in acquiring and advancing mineral properties located in British Columbia. Golden Ridge currently has an option to acquire a 100% interest in the 1,700-hectare Hank copper-gold-silver-lead-zinc property located in the Golden Triangle district, approximately 140 kilometres north of Stewart, British Columbia. Golden Ridge may earn the 100% interest in the Hank property by performing $1.7M of exploration work by the end of 2018.